Pew Pew Pew! Here is your random disposable email address - without login or registration! Test it out, try sending an email to it - new emails arrive instantly to the inbox below. Give it to entities who you don't trust and keep spam away from your regular email. So far, our network processed 11,122,828,776 emails, (182350 / hour). Sharks with laser beams attached to their heads FTW! uyfzatwm @ sharklasers.comgrr.laguerrillamail.bizguerrillamail.comguerrillamail.deguerrillamail.netguerrillamail.orgguerrillamailblock.comspam4.me Forget Me WTF?  SharkLasers gives you a disposable email address. There is no need to register, simply visit SharkLasers and a random address will be given. You can also choose your own address. You can give your email address to whoever you do not trust. You can view the email on SharkLasers, click on any confirmation link, then delete it. Any future spam sent to the disposable email will be zapped by SharkLasers, never reaching your mail box, keeping your mail box safe and clean. Please see the FAQ below for more details about how our temporary email works. SharkLasers has been featured / mentioned in a variety of blogs and publications, including Reader's Digest, Life Hacker, eHow.com, PC Magazine, PC World (Danish), and many others. Please use the Feedback widget to contact us (English). Please note that we cannot always reply - although we do our best. Other ways to interact with our team is through Twitter / Facebook. Q: How can I view the spam folder? A: There is no spam folder / spam box. All emails that arrive at SharkLasers are delivered to your inbox. If an email didn't arrive, it's most likely a problem on the other side, unless we're having a bad day... If you are a webmaster, SharkLasers can also be used to test if your site sends the emails out correctly. Q: What is an Alias Address? A: Since SharkLasers doesn't require account registration, anyone who knows the Inbox ID may have access to that inbox. So it's best to use a random address. To add protection, you can use the Alias Address feature. An Alias Address can only be know if the Inbox ID is known and you cannot use an Alias as an Inbox Id. The more hard-to-guess your Inbox ID is, the better your Alias will protect you. Q: Do email addresses expire? A: The current version keeps all incoming email for 1 hour. This means all addresses work all the time, they never expire. When an email arrives at SharkLasers, it waits in the quarantine ready to be picked up. If a user checks their inbox, SharkLasers will check the quarantine for new email. If found, the email will be instantly moved to the user's inbox. Else, emails will be deleted from the quarantine if they wait there for longer than one hour. Once the email is in an inbox, it will be given 1 hour more, or until the user deletes it. Emails that were never delivered to an active inbox are marked abandoned and are most likely spam. SharkLasers deletes all email that was delivered to an inbox after 1 hour. Logs are deleted after 24 hours. Emails delivered to an inbox are treated with the most privacy, however, please note that anyone who knows your Inbox ID may access your inbox. Using an Alias Address will further protect your privacy. Please see the FAQ for further information. This site uses a session cookie to maintain application state. Other cookies may be used to remember your preferences. It also uses third-party cookies including Google Analytics and Google Adsense. We may use anonymized email data for further anti-spam, anti-malware or anti-phishing research. Only email data that is obvious spam is used for this research. SharkLasers consists of a web server (Nginx), a database server (MySQL) and a Mail Server (Guerrilla SMTPd). The design goal and purpose of Guerrilla SMTPd is to receive large volumes of email and nothing much else (besides doing only the most basic verification). It happily gobbles down millions of emails daily. Guerrilla SMTPd is an open source project available from GitHub. If you do invite Guerrilla SMTPd to your system, please remember to feed it with lots of spam, spam is what it likes best! Finally, our hosting changes from time to time, but we like to use Linux.